I love my country (ey ni bukan bedek ok). My country has EVERYTHING! My country has rubber. My Grandparents were rubber tappers. My country helps cars to have tires! And my grandparents helped them! (That's huge OK). My Grandparents made some money from the rubber; clearly they didn't use them;-) But thank god, they had my mom coz then my mom had ME! You see, my country does have everything! 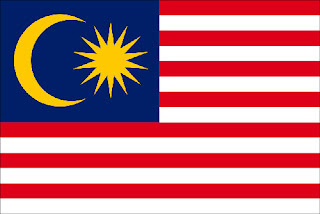 HAPPY MERDEKA MY BELOVED MALAYSIA! You rock for 53 years! This year, I am anticipating Ramadhan more than usual. I don't know why. It is just a gut feeling. It is supposed to be good. We'll see how it went next month. I do'a the best for all the Muslims in this universe. I am taking this opportunity to seek for forgiveness from: everyone! 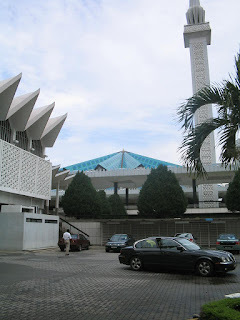 I hope this Ramadhan will bring us humility and the motivation to do good to cleanse our soul. There are enough evil and baddies in this world, I think this is the best time to take a step back and pursue pure goodness in ourselves. How 'bout that huh? Happy fasting everyone! God bless!